Granola bars are a hot item in this house! I am constantly tossing a few in my bag, on the way out the door for snacks on the go. I have recently found it very difficult to find a chewy granola bar that isn't full of chocolate chips. Not that my kids don't eat their fair share of chocolate... it's just too messy for the car! 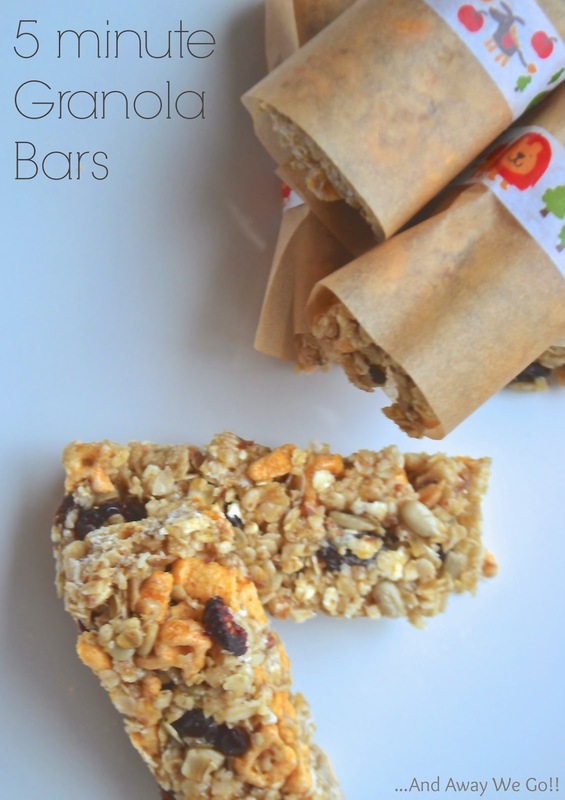 This predicament led me to do a little research on homemade granola bars and I was amazed at how simple the recipes seem to be. Most don't even require baking! 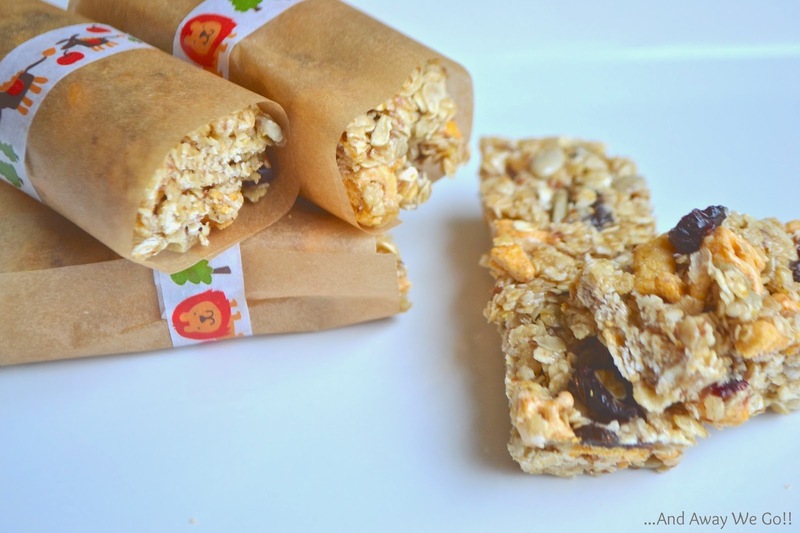 I quickly learned that there seems to be a basic formula to making granola bars, and that you can't really go wrong with making adaptations to fit your tastes as well as what you have on hand! Andrew and I worked away with what we had in the pantry and came up with a great combination! 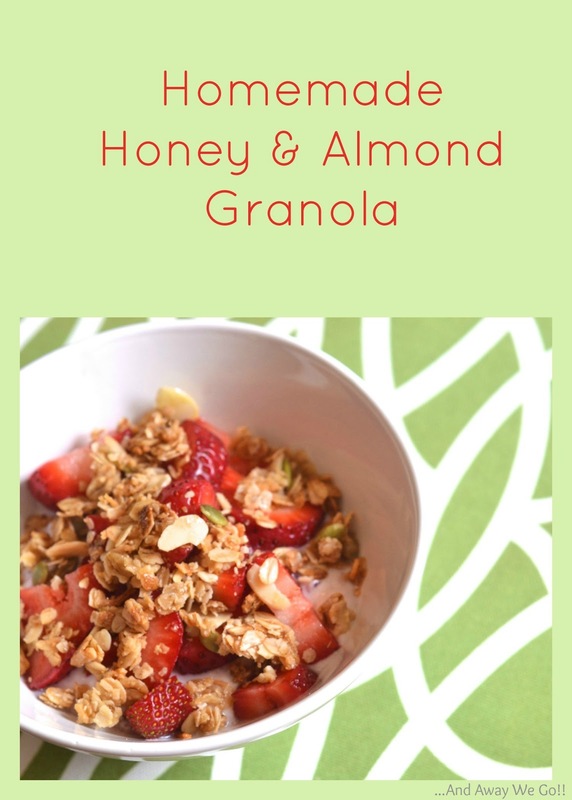 Combine oats, cereal, cranberries and sunflower seeds in a large bowl. In a small sauce pan, melt butter over medium heat. Stir in sugar, honey and vanilla and continue to stir until sugar has dissolved. Slowly pour the butter/sugar mixture over the dry ingredients and stir until combined. Press into a greased 8"x8" cake pan and refrigerate for a half hour. Once the bars have cooled, loosen edges with a spatula, turn out onto a cutting board and slice into desired size. 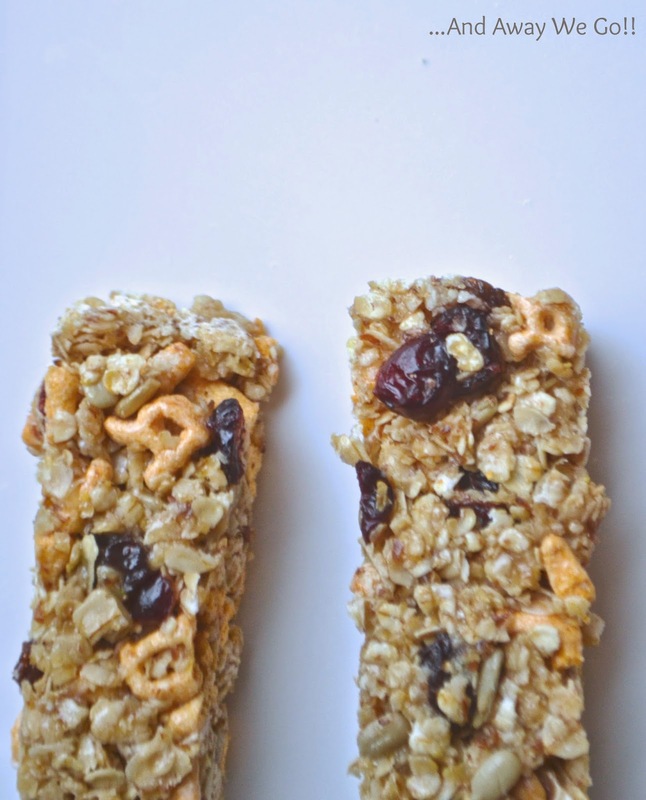 The cereal in these granola bars add a nice crunch to the chewy texture. For this recipe we used Alphabet cereal, but Cheerieos, Puffed Wheat or Rice Krispies would also be great! We've also picked up a variety of freeze dried fruit to try out some new combinations! 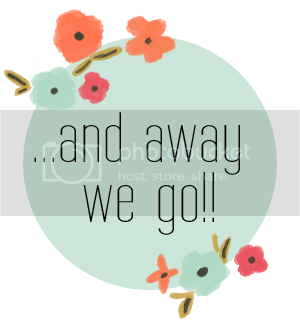 You may also be interested in this popular post!